August was a prolific month for flying despite the continued plague of low clouds and humidity and hurricane scares. 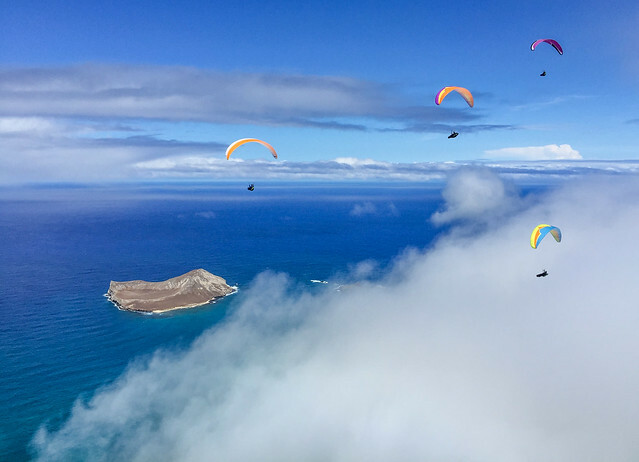 I sometimes think the story of flying on Oahu is really the story of clouds and wind. This El Niño summer has brought an unusual amount of moisture so it’s been cloudier than ever, though not so windy. I finally managed to collect the best of my cloudy photos for August, taken during a month of flights from Kahana, Makapuu and Dillingham.